We all know that we are already living in the future. Our technology has taken some pretty incredible and, sometimes, unimaginable bounds in the past few years. The specific technology that we are talking about is autonomous vehicles. Thanks to some revolutionary insight, CNH Industrial has taken that tech over to the agricultural side with their Autonomous Tractor. 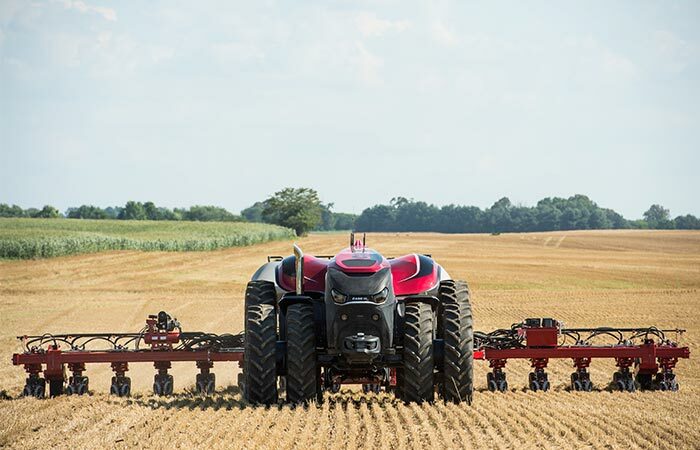 Unveiled at the 2016 Farm Progress show in Boone, Iowa, USA, CNH revealed what the future of farming might look like. Even though these are only concepts, we all know that more often than not concepts do become reality. 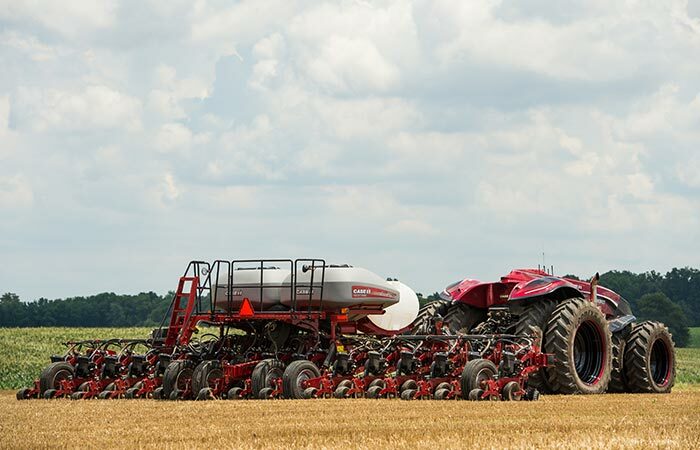 The Case IH features a unique cabless design and is completely autonomous. The concepts that they displayed are in two distinct tractor versions. The first being the completely cabless Case IH Magnum and a New Holland T8 NH. The New Holland still has the cab to maintain operation pliability. Check out the video below. CNH Industrial’s Innovation Group has meticulously worked on the concept of autonomous farming. This has a variety of benefits which include boosting production and productivity. This technology also allows the farmer to get the most of his prime soil and weather conditions with minimal workforce involvement. Including nighttime operation. 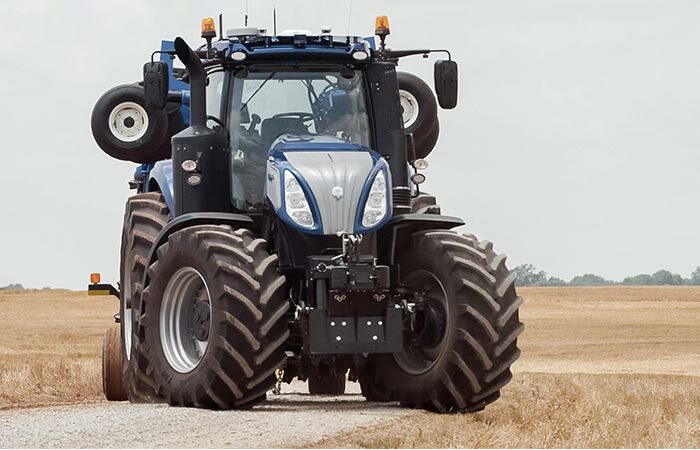 The New Holland T8 NH is also completely autonomous. However, it still has a cab which improves operation flexibility. These tractors will be using GPS in combination with ultra-accurate satellite correction signals. This allows for surgical precision guidance as well as real-time recording of field data. As a matter of fact, CNH’s technology is that advanced that these tractors can be remotely deployed and monitored, as well as being controlled. This technology will allows farmers to get the most out of their lands. This also includes night time farming.